Digging through your desk drawers for an important document or that secret Snickers you know you have hidden somewhere can come down to a cruel game of hide-and-seek, with you opening and closing drawers in quick succession for ages. The Cartesia Desk manufactured by COLORS would like to make life a wee bit easier by changing up the way those drawers open. 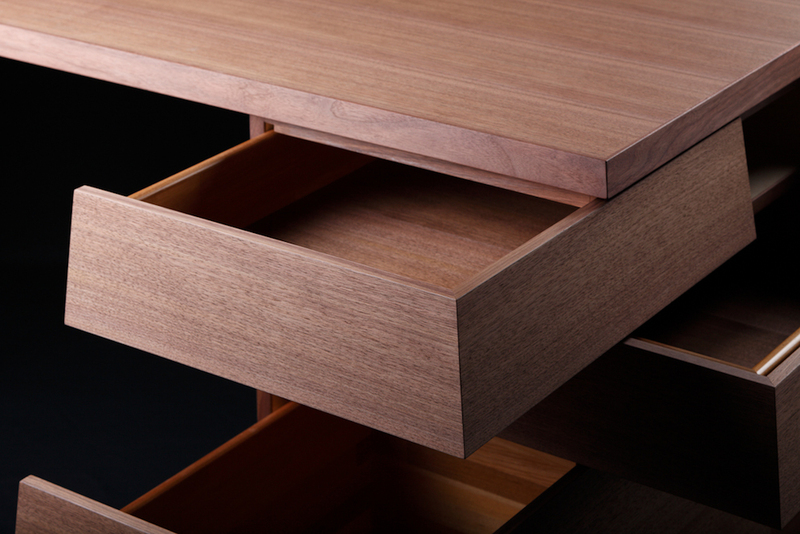 In a traditional desk design, all of the drawers pull forward. Most desks have a safety feature that makes it difficult or impossible to have more than one drawer open at a time. 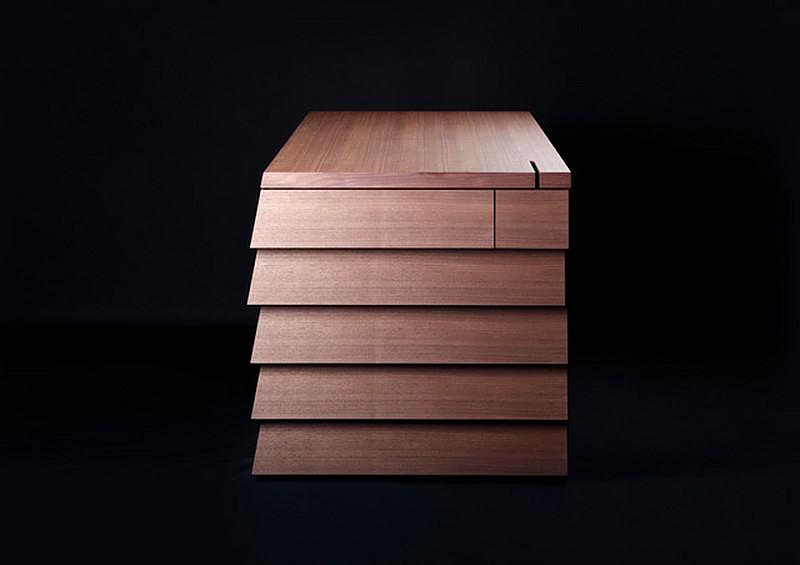 The Cartesia Desk, however, lets you open your drawers from two different angles. 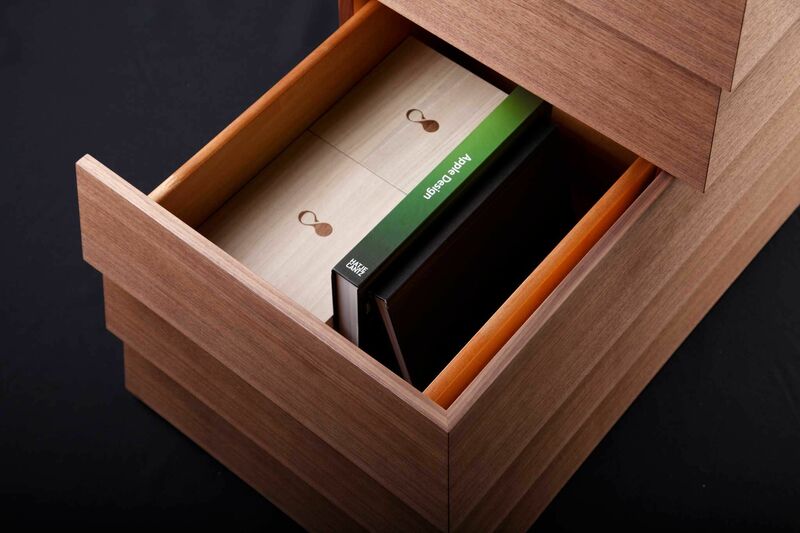 The desk’s drawers can be opened either to the front or to the side, allowing you more visibility to find that lost Post-It note or whatever other urgent object is hiding way in the back. 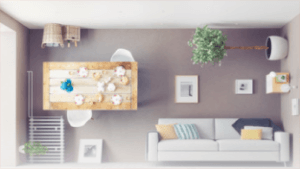 You may also open more than one drawer at a time, which is a huge benefit when you aren’t quite sure where you stashed something and want to go on an all-our hunt for it. In addition to the revolutionary dual-axis drawers, the Cartesia Desk features a tiny drawer in the back for storing cords and cables. 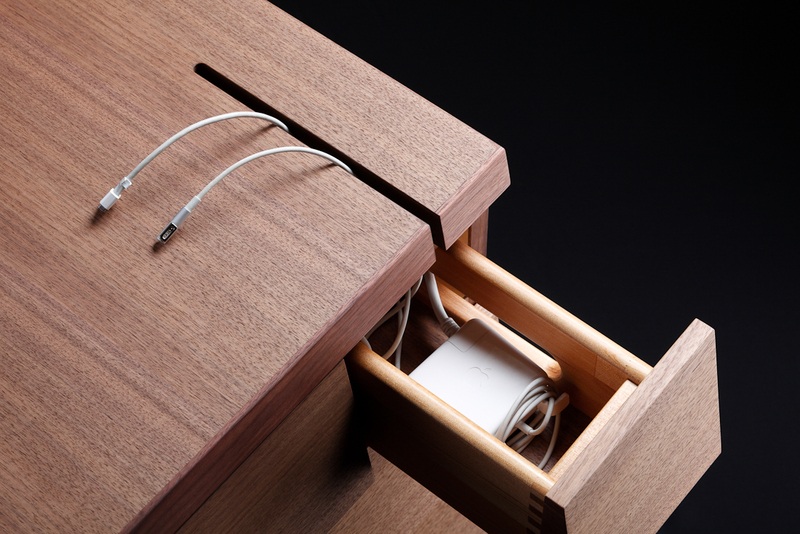 A clever slot along the back of the desk lets you pull those cords up onto the desktop for easy access. 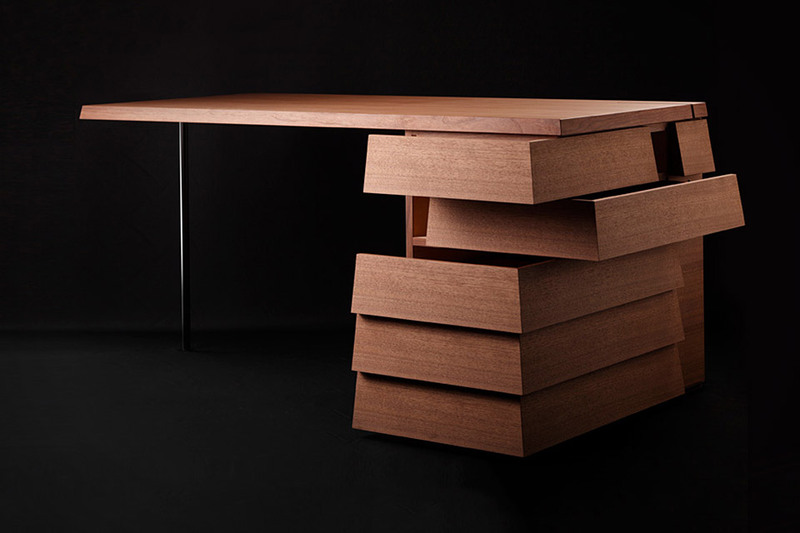 As stunning and unique as this desk is, you wouldn’t expect it to come with a reasonable price – and it doesn’t. The gorgeous piece of modern office furniture goes for $6000, in your choice of walnut or tamo tree wood.